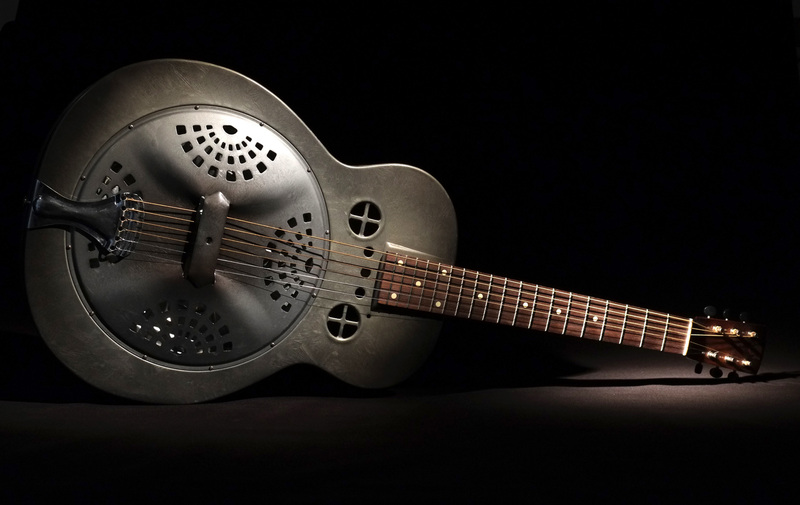 This is a 1937-38 Dobro M32 fiddle-edge. This one has a brass top with a steel back and sides. The coverplate is also steel. Unfortunately it came with a broken headstock. So, along with giving it a silver/gray with a black burst, vintage style, B•Fanatic Guitarworks’ frosted duco finish, I made a new basswood neck (like the original). I have been very curious about basswood as a neck material. It was very common in Nationals and Dobros after the mid thirties. One of the weaknesses of the original necks was that there was no reinforcement. But this repro neck has an internal steel reinforcement bar. I also kept the profile rather beefy. So far it has been very stable. 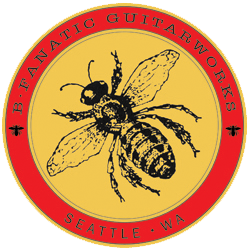 I used a new 25″scale, rosewood fretboard. The guitar has the original cone and spider, but the tailpiece is new (old fiddle-edge tailpieces are hard to find. Got one?). I did carefully contour the tailpiece to follow the form of the lip on the edge of the guitar. It fits like a glove (and looks like it belongs there). I also used those great StewMac vintage style replacement tuners. The crystals in the finish on this on are very subtle. In some areas they only like to come out in bright light. 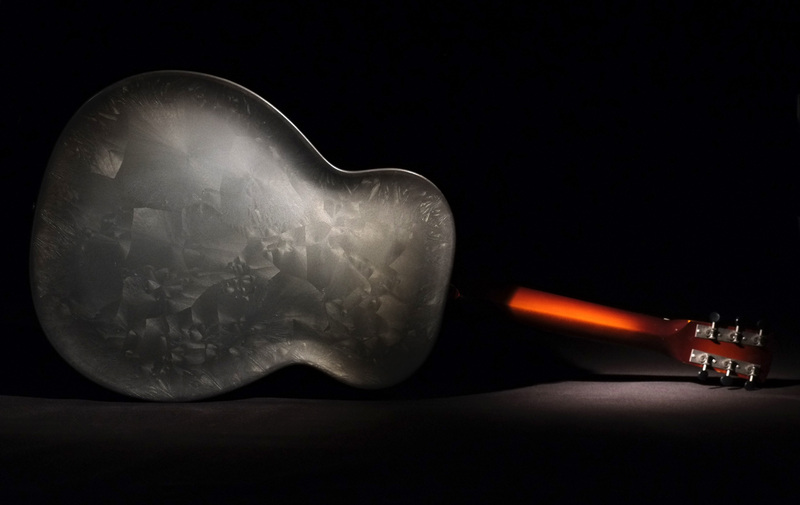 This subtle finish characteristic was found on many of the original frosted duco finishes on Dobro fiddle-edge guitars.